I've been doing a bit of research of late on how to protect my skin from mosquitos. One of the easiest and best ways to naturally deter insects is to create your own blend of base and essential oils. One recipe that I've come across that doubles up as a moisturiser and sunburn soother is this one. Blend these together in a glass bottle by shaking for long enough so that the oils do not separate. If you have especially oily skin swap the grape seed (which is great for dry skin) with jojoba oil. This measurement of oil (100ml base oil) is a good size for travel. If mixing your own doesn't suit or is too finicky for last minute travel preparations Essential Care make a great natural insect repellent. Mosimix is a certified organic, vegan aromatherapy massage oil based on lemongrass, lavender and thyme which a great at warding of unkindly skin biting predators. It's great to use when gardening, walking or holidaying. 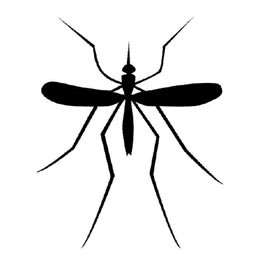 But be warned: these natural repellents don't include the malaria, yellow fever and dengue areas of the world. Unfortunately, for a short time at least, most believe you need something more toxic that contains DEET (N,N-Diethyl-meta-toluamide - a chemical originally tested as a pesticide on farms). I'm going to go for the natural alternatives (at my own risk) simply because they're better for the environment (in particular local waterways) and my health. I'll let you know how I fair with our midgy friends come November when I enter the forests of Guatemala and Ecuador!